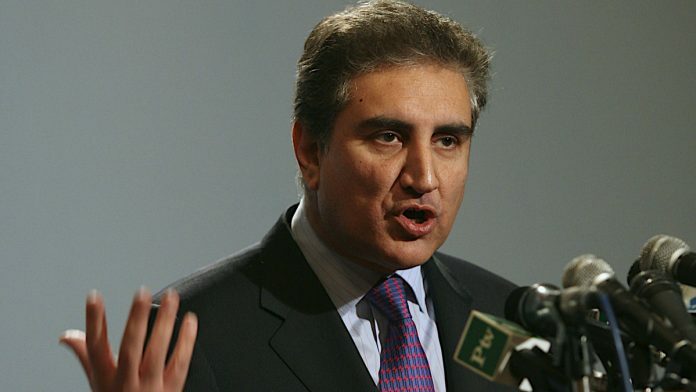 Islamabad: Pakistan Foreign Minister Shah Mahmood Qureshi on Monday briefed US National Security Advisor John Bolton about the measures taken by Islamabad to de-escalate tensions with India following the Pulwama terror attack. The Foreign Office (FO) said that Qureshi and Bolton, during their telephonic conversation, discussed regional security situation following the Pulwama incident. “The purpose of the call was to provide him Pakistan’s perspective on the recent regional developments,” the FO said. Qureshi’s call to Bolton came ahead of Foreign Secretary Vijay Gokhale’s meetings with top Trump Administration officials, including Secretary of State Mike Pompeo, in Washington. Qureshi said the Indian “aggression” of February 26 was a violation of Pakistan’s territorial integrity and sovereignty as well as the UN Charter. He also said that Pakistan’s response on February 27 was “purely in self-defence against external aggression”. The FO said the foreign minister “informed Bolton about the de-escalatory measures taken by Pakistan”. Qureshi said that Prime Minister Imran Khan decided to hand over the Indian pilot as a gesture of goodwill towards India. Pakistan wished peace and stability in the region. He said Pakistan’s High Commissioner to India Sohail Mahmood has returned to Delhi after consultations. Islamabad would send an official delegation to India on March 14 to discuss the modalities for the operationalisation of the Kartarpur Corridor, also was ready to continue with the weekly meeting at the level of the Directorate General of Military Operations, the Pakistan foreign minister said. Ambassador Bolton said that he and Secretary of State Pompeo, despite being actively engaged in talks with North Korea in Hanoi, monitored the developments between India and Pakistan and kept contact with the leadership of two countries to ensure that the security situation in the South Asia region did not deteriorate, the statement said. Bolton appreciated Pakistan’s measures which had helped lowering the tension and urged continued restraint on both sides, it said. “The need for dialogue between Pakistan and India to find peaceful resolution to all outstanding disputes was also emphasized,” the FO statement said. “The Foreign Minister cautioned against any Indian misadventure, keeping in view the forthcoming elections. Ambassador Bolton concurred,” it said. It said that Ambassador Bolton also appreciated Pakistan’s important role in the Afghan peace process. Both leaders agreed to work together to pursue the process.